Who do you want to be the next Governor of Rhode Island? Become a member of DePetro.com or vote on John DePetro-radio on Facebook. 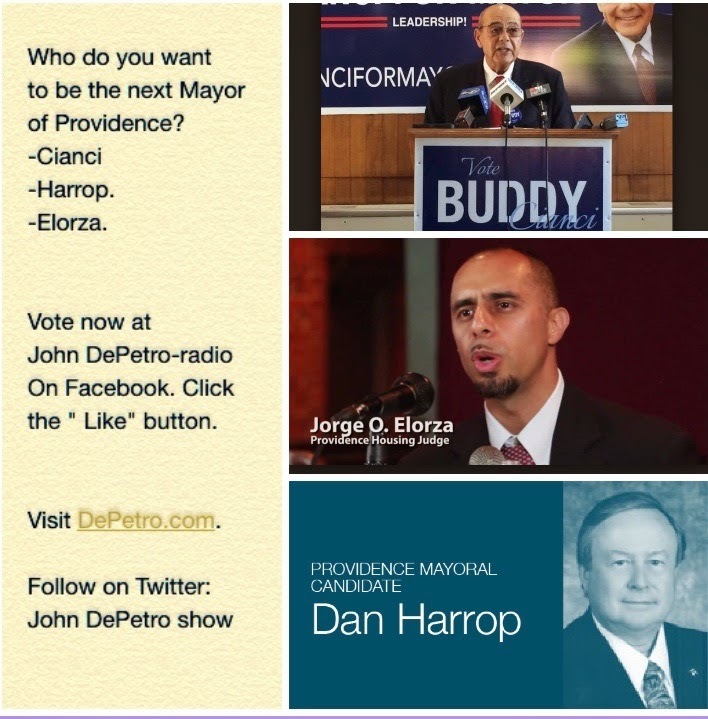 Who do you want to be the next Mayor of Providence? Time to vote. Vote at John DePetro-radio on Facebook. Time to vote. Listen to John DePetro on WPRO, 99.7 Fm. Weekdays from 9:am-12 noon. Who said it was over? 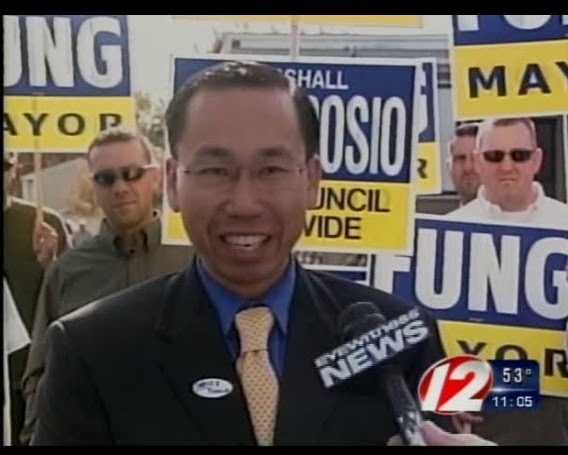 Cranston Mayor Fung feels the " big mo" as the latest Brown Poll has him in a dead heat with Gina Raimondo. Huh? Exactly. Brown had him 11 points behind Miss Wall Street last week, then Brown decided maybe they should Poll outside of Thayer street. Fung is suddenly in a tie for the lead with 6 days to go, which would explain the full scale panic by team Raimondee. Most candidates pivot to the center after wining the primary but Raimondo took a hard left, which has " left" her scrambling in the final days. The abortion fiasco and being tossed out by La Salle has hurt Gina and she has yet to return to form. Fung has 5 days to seal the deal and as Joe Fleming likes to say Fung has a " path to victory." The Democrats are pulling out all the stops as Hillary came by and now the state is ready for Team Obama to try and rescue Raimondo. " Hi Neighbor" has turned into " see you later ", as the Democrats seem to be dropping like flies from the Raimondo campaign. Bob Healey is gaining in the polls but he seems to now be hurting both Fung and Gina. 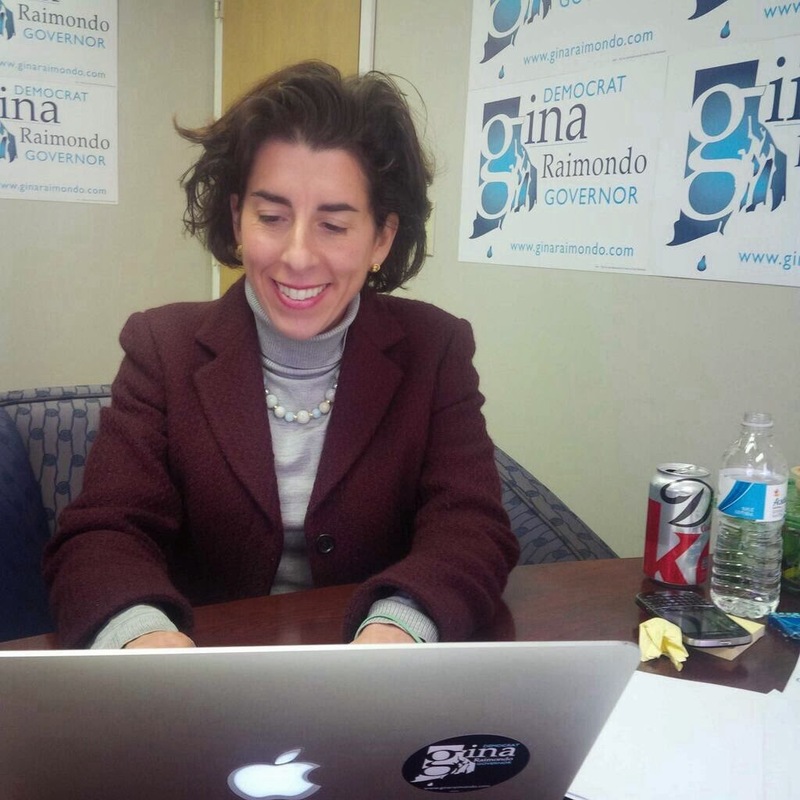 Will Raimondo blow the election? Follow DePetro.com for the latest. Was there an election and I missed it? 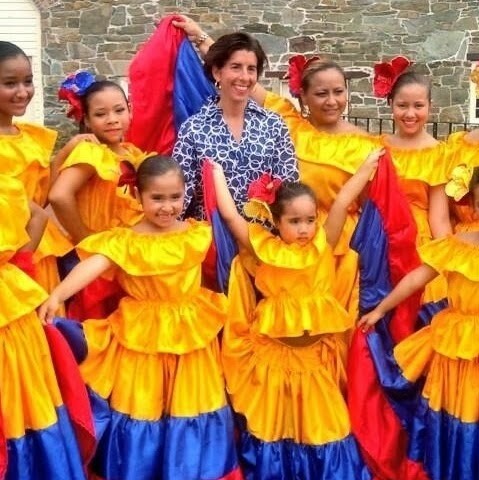 While the Fung campaign has been sleeping since the primary, the general election has turned into a " coranation " for General Treasurer Gina Raimondo. Democrats around the country seem to fear the " Obama-virus" hitting their district more than Ebola spreading, but in Rhode Island a Democrat arriving in Air Force 1 is always welcomed. First Hillary hit town, and now both the President and First Lady will make their way into the air space at TF Green in support of Gina for Governor. Although Mayor Fung has countered with Mitt and Christy, the Fung campaign has not managed to lay a glove on Raimondo. Unremarkable TV spots, poor planning in late debates and inability to gain any traction have plagued the Fung campaign. Raimondo spent too much money in the primary, had a terrible misstep with Planned Parenthood, and went underground for 3 weeks, yet has managed to lineup a grand finale to slam home the election on November 4. While Team Fung seems still unsure what to do about Healey and are wasting time complaining about the Brown Poll, team Raimondo seems ready to pick the drapes for the 3rd floor on Smith Hill. 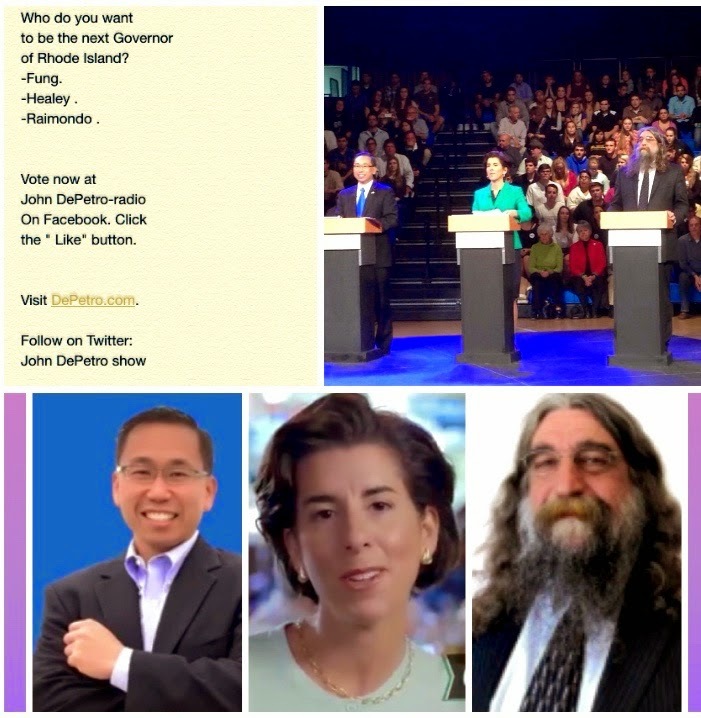 Fung would need to "channel Reagan" in order to change the Raimondo momentum in the final 2 debates. In debate last week, Raimondo seemed nervous and under the weather, yet manage to sting Fung with a right-cross on the police scandal. Fung let a golden opportunity get away by being passive and not changing the tone of the campaign. Fung has an incredible challenge with Healey hanging around and grabbing 9% for having long hair. Follow DePetro.com for the latest.